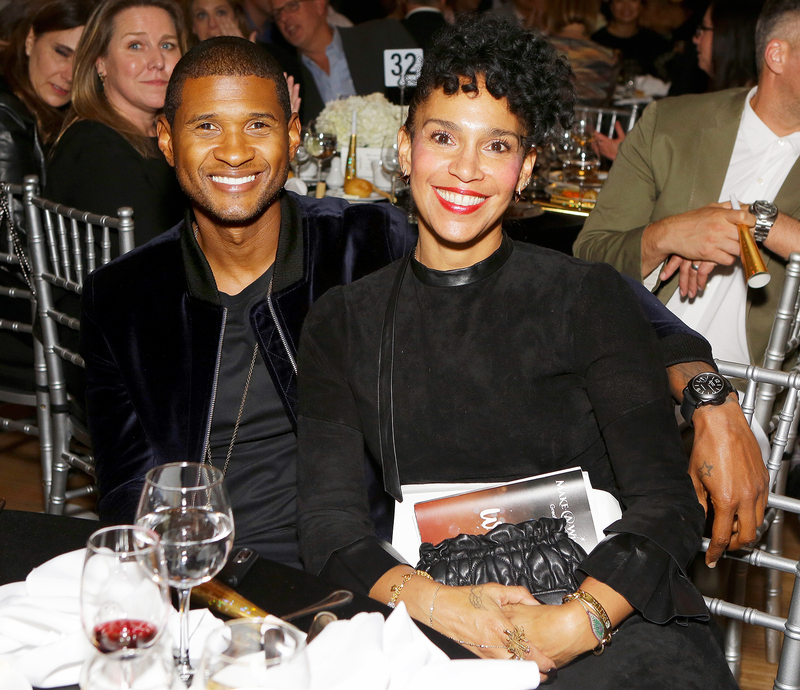 Usher Raymond and his wife, Grace Miguel, have called it quits after two years of marriage and nearly 10 years together, Us Weekly can exclusively reveal. A source tells Us that the pair, who quietly wed in September 2015, have been separated for a couple of months. As previously reported, the “Yeah!” singer proposed to Miguel in January 2015. Later that year, the duo eloped and honeymooned in Cuba. They started dating in 2009 after Usher split from his first wife, Tameka Foster, with whom he shares 10-year-old son Usher Raymond V and 9-year-old son Naviyd Ely. Usher was most recently seen at the WME pre-Oscar party on Friday, March 2. A source told Us that he “was in a good mood and hugging people hello,” and added that he spent time with The Weeknd at the party. The Voice coach hinted at a change in his life two days before on Instagram. “new era // new ink ft. @_dr_woo_,” he captioned a photo with a tattoo artist on February 28. He showed off his new chin ink on Sunday, March 4, in an Instagram video set to Drake’s song “God’s Plan.” Usher has not explained the meaning or the design of his new neck tattoo.